As you can probably tell, we love working with CBD oil at The Mustard Seed! Check out our other CBD-related recipe videos! 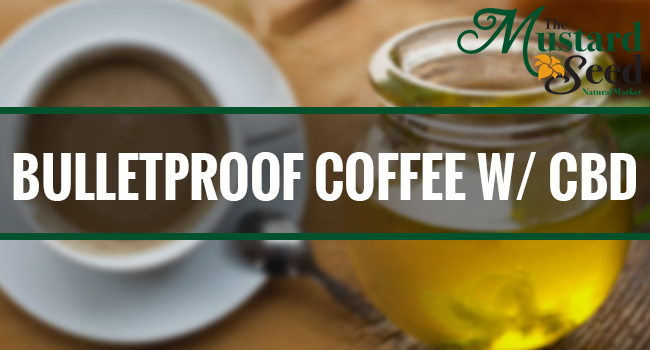 Try this CBD bulletproof coffee for a boost of energy and healthy fats! To try it yourself, simply blend warm coffee with 1 tbsp. coconut oil + 1 tbsp. grass-fed butter. Top with cinnamon (optional) and enjoy! Click the link below to shop our selection of CBD oils. Click Here To Shop Our CBD Oil!